Two days ago, on June 21, Ether (ticker ETH) suffered a flash crash on the GDAX market. Many people took huge losses while others, who were lucky and fast enough, were buying ETH for as low as $0.10. One person is reported to have bought 11,000 ETH for $1,100 (now worth a cool $3.5 million). How does this happen and what does it mean for cryptocurrency owners? The first thing that must be understood is that the crash really only affected those people who were actively trading (including stop loss orders) on the GDAX market at the time of the crash and shortly thereafter – AND those speculators who were relying on the value of ETH to insure their margin accounts. The price/value of ETH is now little changed from a week ago and the only real lasting effects are a) increased concern over the volatility of cryptocurrency and b) some people’s increased belief that they can make a killing in cryptocurrency market speculation. However, in my opinion, the fallout is likely to lead to increased regulation of cryptocurrency exchanges. The second thing to understand is that the mechanics of flash crashes *are* well understood – and, indeed, simple. Any entity who holds enough on a market to immediately fulfill a substantial amount of the value of current buy orders can easily trigger a flash crash by placing a large enough market order (one that is immediately processed against currently pending orders). 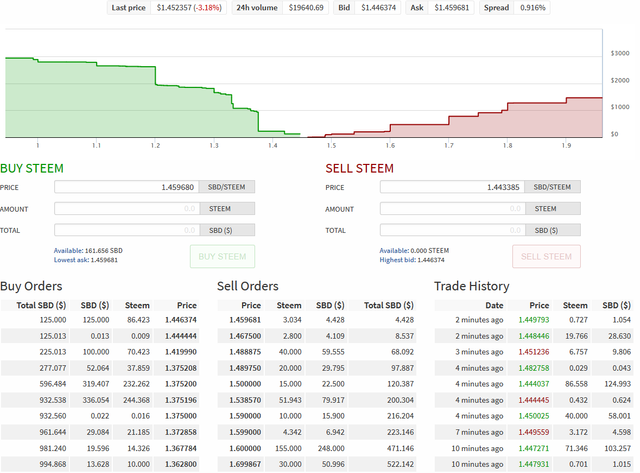 For example, anyone willing to spend $3500 can flash crash the Steem Internal Market. On the other hand, without margin trading (people trading with borrowed funds), there really is no way for the person causing the crash to make a profit (because, barring a panic, the only cheap buys are what they themselves are selling) – and thus, there is no incentive to cause a crash. With margin trading, however, if the price drops by enough that a margin trader doesn’t have enough value in their account, that person is then forced to sell at the current market value – which drops the price further (in a vicious whirlpool) *and* adds new cheap buys which the person causing the flash crash *can* vacuum up to make a profit. On 21 June 2017 at 12:30pm PT, a multimillion dollar market sell was placed on the GDAX ETH-USD order book. This resulted in orders being filled from $317.81 to $224.48, translating into a book slippage of 29.4%. This slippage started a cascade of approximately 800 stop loss orders and margin funding liquidations, causing ETH to temporarily trade as low as $0.10. Looking at today’s GDAX order book, it would take 39K ETH (sold for a price of $10.9M) to drop the price from the current $324.12 to $225.00. If the perpetrator had sold this much ETH slowly at a constant price of $325, they would have netted $12.7M – so they took a loss of $1.8M by dumping the ETH. Now . . . do you remember the person above “reported to have bought 11,000 ETH for $1,100 (now worth over $3.5 million)”? What do you think the odds are that it is the same person who caused the crash? And what do you think the odds are that this is the only wallet they have and the only purchase they made during the crash? 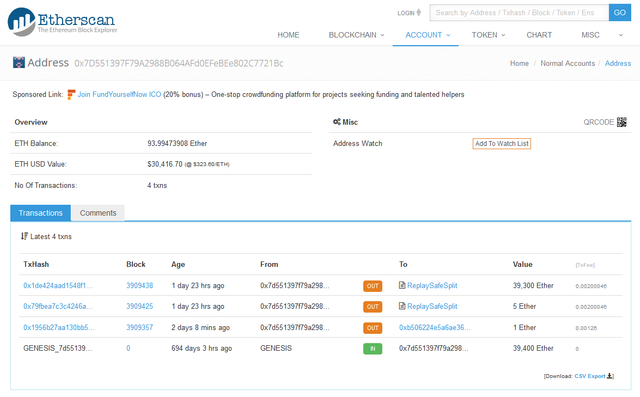 As for the culprit – all you have to do is look at the Ether blockchain right HERE. Note the transfer of 39,300 Ether at exactly the right time to have caused the crash. A number of people have criticized GDAX but there is only one thing that can reliably stop machinations like this – *automatically* stopping the market (or slowing it) the instant that the book is anomalously depleted beyond a certain point until the book recovers. Until regulators insist or traders refuse to trade on unprotected markets, this problem is going to recur at an ever-increasing rate on both the stock and cryptocurrency markets. Flash crashes really only hurt speculators -- so you can STEEM ON without worry! 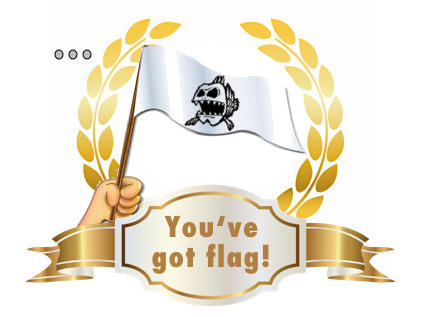 This post received a 3.6% upvote from @randowhale thanks to @mark-waser! For more information, click here! Very informative post, I hadn't thought about this yet. I think this may become a huge problem in the future if there isn't some regulation being made right now. Is that your Trade History in the image above? Seems like you've been doing well. Ha! I wish! ;-) That is the Trade History of the entire Internal Steem Market.